The "Dullsville" tag ought to have been ripped off Perth's shirt years ago. It's not only the wealthy pleasure craft owners who are privy to making the most of this sunshiny playground: lovers of great food, shopping and, increasingly, craft beer have found plenty to get excited about as well. 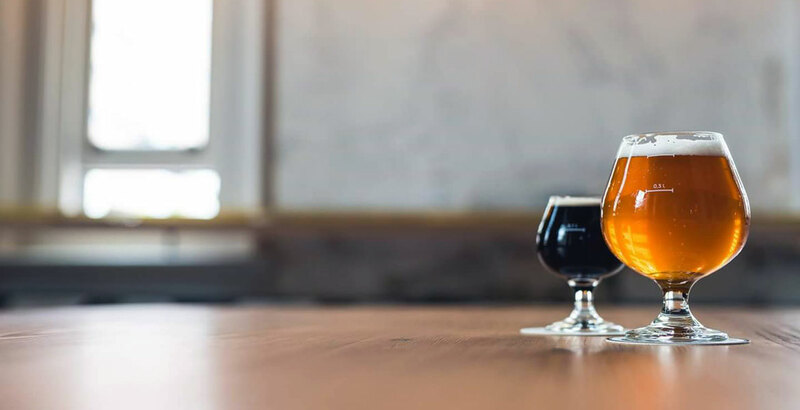 Crucially, just as the state capital provides the gateway to parts beyond, it also serves as a key for unlocking WA's breweries – all without the need to venture more than two miles beyond the city centre. To that end, The Crafty Pint has conjured up the Perth-ect pub crawl for those wanting to explore the likes of Feral, Nail, Indian Ocean Brewing Company, Colonial and more – all without having to book tours or accommodation in the parts of the state they call home. 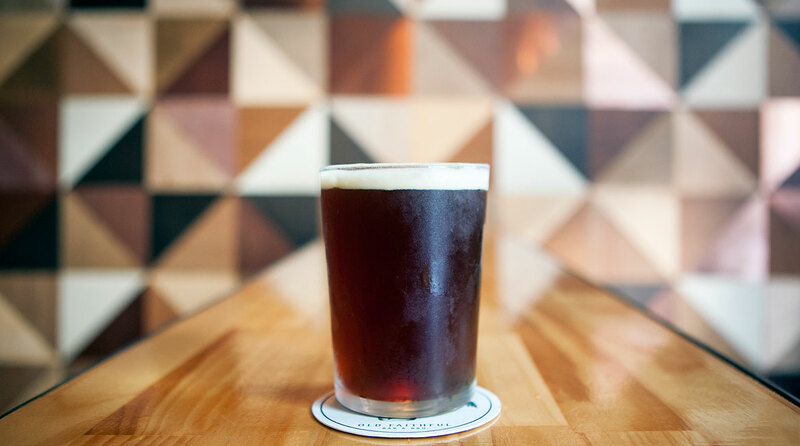 After all, WA is a big place with an equally imposing brewing scene, but the time poor needn't miss out on the good stuff during any visit west. Best of all, says Graham Frizzell, given the rising quality of venues, you might be lucky to arrive at a time when something extremely limited has been tapped. 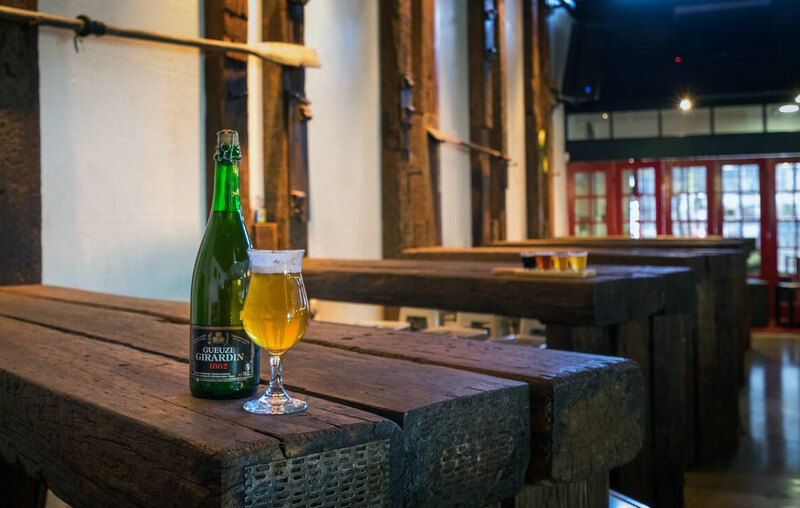 Situated less than 500m away from Perth Underground station is Perth’s very own Belgian Beer Café. The name says it all... or does it? Sitting alongside household name Belgian beers is a cast of homegrown heroes such as the ready resinousness of Nail Red Ale, Feral Hop Hog and seasonal releases from Freo boys Innate Brewing. Time your visit right and you might just find Nail's Hug(h)e Dunne or a Feral Brewpub Series release on tap too. The venue itself epitomises the very concept of theme pubs, in a good way. Chimay, Stella Artois and Blanche de Namur signs adorn the bright outdoor courtyard, replete with water feature, while the main bar is all wood and chrome. If you arrive early you may have the place all to yourself for an hour or two before the action kicks off later in the evening. When the sun goes down the bar is cleared of furniture to make way for dancing, hence, if getting on down isn't as important to you as imbibing, you may want to make this your first port of call rather than the last. 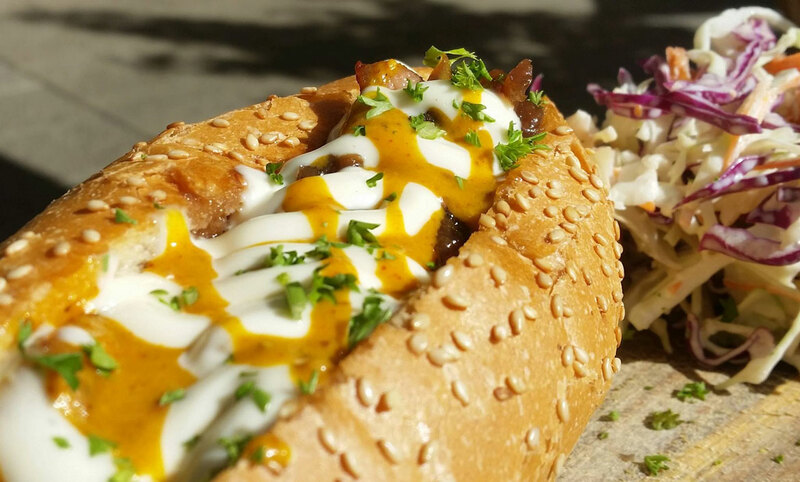 From the Belgian Beer Café, it’s a hop, skip and a jump across Perth CBD’s one and only zebra crossing to Old Faithful Bar & BBQ. This BBQ joint is nothing short of the perfect place to fuel up for the day ahead. American-style barbecue has arrived out west in a big way and it’s these guys who started it all. You won’t find an offset smoker here (neighbouring designer outlets might have something to say about that) but the friendly team will tell you it’s more about the technique rather than the kit. What you will find is a swathe of goodness from Feral Brewing to go with your brisket, pulled pig sandwich and BBQ beans (and, at time of writing, only Feral Brewing beers). If you’re in town during April or September, you might be lucky enough to find the highly sought after Feral Tusk imperial IPA here too. 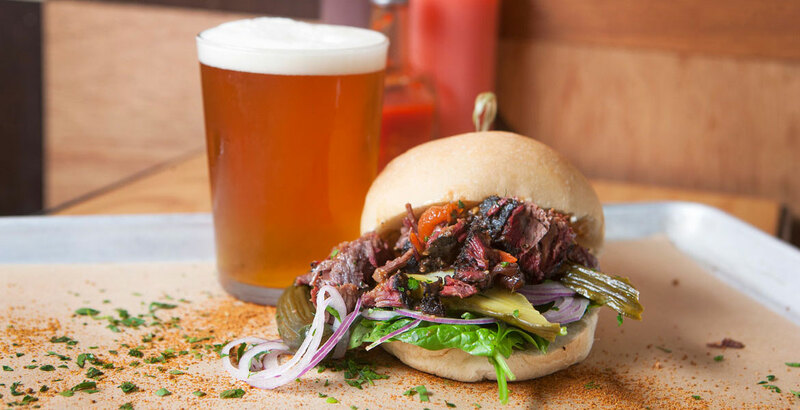 With its attentive staff and its unique fit-out, Old Faithful Bar & BBQ is absolute paradise for the meat and beer inclined. Cross the lone zebra crossing once more and head a little further west along Murray Street where you will find Perth’s James Squire Brewhouse. 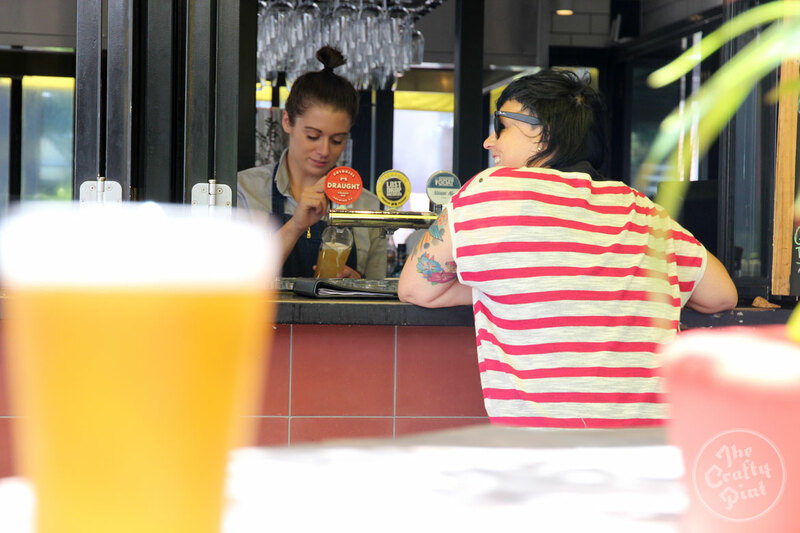 Much like its brethren in other state capitals, The Generous Squire specialises in pouring beers from the biggest and longest established of Lion's many crafty operations – but with a decidedly local twist. 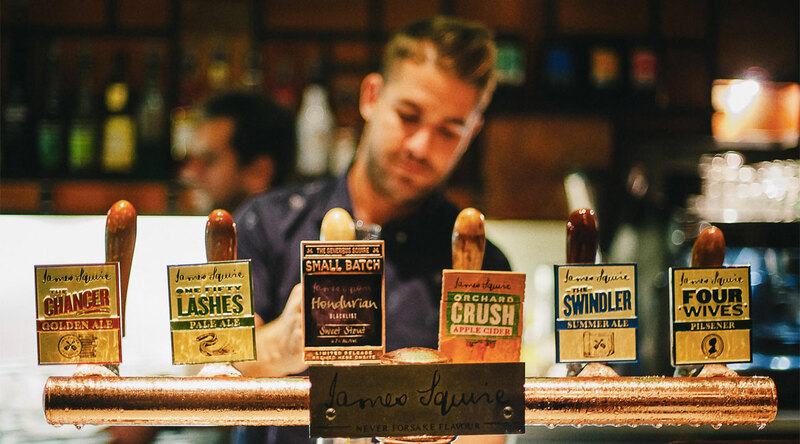 Alongside the likes of the unit shifting 150 Lashes, 2016 World Beer Cup champion The Swindler and older members of the Squire range, such as the Four Wives Pilsner and Jack of Spades Porter, you'll find short run beers brewed onsite. In recent times, this has included the Honduran – a sweet stout brewed in conjunction with local coffee roasters Blacklist – and the ultra-summery Wheatbelt White. We've always felt these branded Brewhouses are the venue version of gateway beers: places where those still a little unsure about the mysteries of what lies on the other side of your first hoppy pale ale can feel safe yet still take a few steps into the unknown. And, at The Generous Squire, the atmosphere is convivial, the tunes are cranking and, if you are the sort who has to document ever sip that passes your lips, then there's the chance to notch up a locals-only Untappd check-in or two? WA’s finest beers, historic newspaper clippings for decoration, and sunshine beneath the skyscrapers… what’s not to love? Bob’s Bar, located atop Print Hall, is perhaps the most idyllic of places to enjoy a pint or two along the entirety of this pub crawl. The taps rotate between local, interstate, New Zealand and US draught beers – but it’s the first of these whose offerings quietly take pride of place here. Fancy a Feral Watermelon Warhead or the super-citrusy War Hog IPA? You might find yourself lucky. Colonial Draught? Yes sirree! Eagle Bay, Mash, Cheeky Monkey and more are also regularly featured locals and all are available to take away if you bring your own growler. Bob’s Bar happily boasts a late licence, however arriving early is advised. The crowds move in once the sun goes down and there really is nothing like feeling as though you have Perth all to yourself. It bears mentioning that Print Hall and Bob’s Bar are a little tricky to find. The multi-storey venue is situated within the Brookfield Place precinct. From The Generous Squire head back towards King Street, head south, cross St Georges Terrace at the pedestrian crossing located to the left, then head back right to the entrance leading into Brookfield Place. From there, head left until you find Print Hall and head upstairs. The Dutch Trading Co is a bit of a ring-in here, but is of such high quality that we had to feature it in one of the WA Crafty Crawls. The DTC, as its known colloquially, is located a mere 15 to 20 minute bus or cab ride away from opposite Brookfield Place. It's well worth the ride as there you'll find 18 taps dispensing a mind-boggling array of local rarities as well as virtually unheard of international limited releases from as far afield as the Netherlands. Limited release one-offs from locals, such as Indian Ocean (ever tried a mumme-style ale?) and Colonial’s IPA on Tour series have all graced the DTC’s hallowed lines. Moreover, the lads collaborated with Margaret River’s longstanding Bootleg Brewery to create a barrel-aged version of its legendary Raging Bull dark ale, called Boss Taurus, in 2015. By now, if you started at the very beginning, you'll need something to soak up all that local, limited release beery goodness. And you're in luck, as the food at The DTC has set the bar for what pub food can and should be in Perth. Where other major pubs (most of which are owned by supermarket chains) offer the same old fries from the freezer and generic pizza, The DTC has got your beer mop needs covered with bitterballen, squid salad, fried chicken and that most beery of dishes: moules frites. The main bar is as open and spacious as WA itself and the bar staff are among the most knowledgeable in the land should you find yourself stuck for choice. Head back from whence you came for the last leg of the adventure. Petition Good Beer Corner is the latest addition to the growing number of craft beer bars and it’s as imposing as it is impressive. The venue itself is among the most idiosyncratic in Perth, if not the country. What was once the regal-looking State Buildings is now home to a host of venues within the one setting: a serious-looking wine bar, a Thai restaurant and, of course, the Good Beer Corner. Incongruously enough, the Corner’s service area comprises two tables with no seating. What really matters here, however, is the vast array of beer on offer and the pedigreed staff, who are ever at the ready in the event you find yourself stumped. 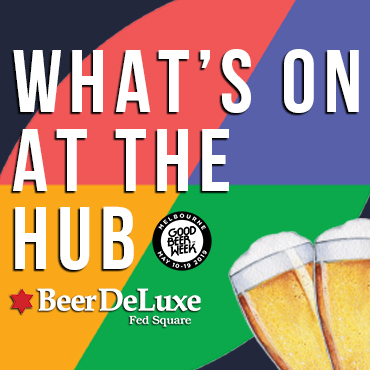 Like Bob’s Bar, the Belgian Beer Café and The DTC, the Good Beer Corner boasts a wide variety of beer from all over the planet with an emphasis on local favourites. Dunsborough stalwart Eagle Bay recently had its Margie’s Mint Slice stout tapped here, Mash Challenger IPA is practically a staple and Colonial’s Small Ale is always available by the can should you need something a little lower in ABV. Better yet, the venue boasts a 2am licence, so there’s plenty of time to sample whatever takes your fancy. Bottled and draught beers are also available for takeaway should you fancy taking a piece (or growler) of WA home with you. Those with a little extra time on their hands might like to investigate the following bottleshops and pubs, none of which is more than 15 to 20 minutes by bus or train from the city. The Raffles Hotel – Canning Highway, Applecross. Two stops from Perth Underground then a short walk along the Canning Highway. Clancy’s Fish Pub, Canning Bridge – just a little further by foot from The Raffles. You can check out our other Crafty Crawls here. Look out for two more from WA coming soon, centred on Freo and Northbridge / Mt Lawley.